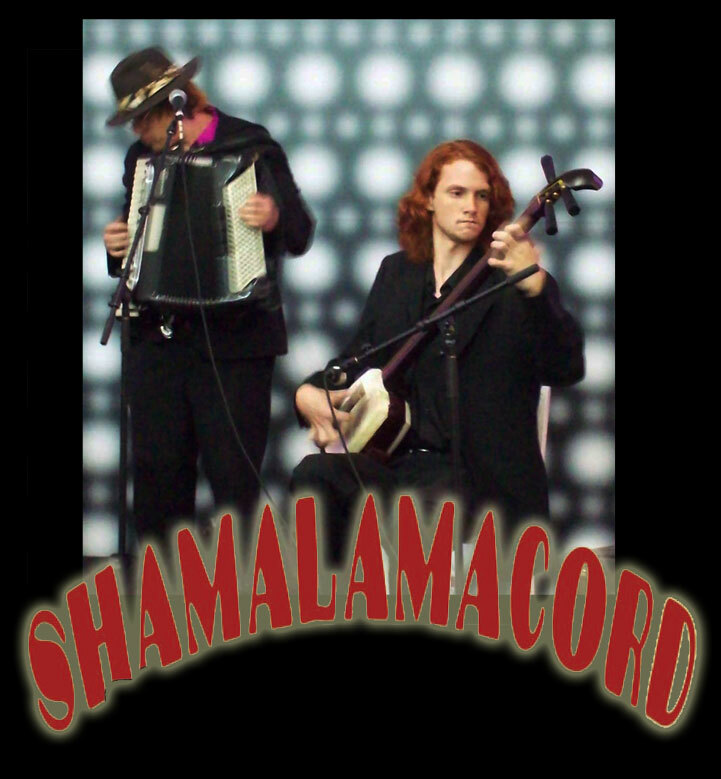 Shamalamacord is Mike Penny on Tsugaru Shamisen and Aaron Seeman (Duckmandu) on Accordion. 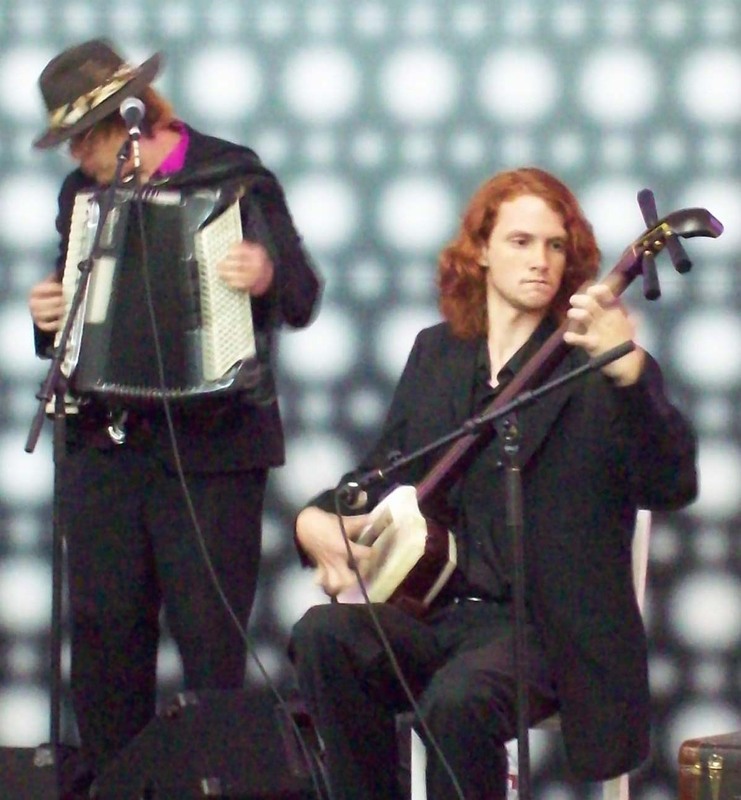 Shamalamacord draws from a wide range of styles, including Balkan Gypsy music, Classical, Klezmer, 1920’s Jazz, traditional and popular Japanese Music, and original compositions. As a duo and as solo players they are each actively engaged in extending the capabilities of their instruments. The Tsugaru shamisen is the most powerful sounding and popular of the three major types of shamisen, the Tsugaru style comes from Northern Japan. It has enjoyed a resurgence among young people in the last twenty years in Japan, and is therefore a tradition very much alive. Mike Penny: Within two years of picking up the instrument, he competed in the annual Kanagi Tsugaru Shamisen competition in Northern Japan and received the "nyuusho" or "runner-up" award in his class out of a field of 200, an honor never before bestowed on a non-Japanese player. He also plays in the Tsugaru Shamisen trio, Monsters of Shamisen. Aaron Seeman: Also performs solo as Duckmandu, he holds a B.A. in Piano and a Masters in Composition from UC Santa Cruz. As Duckmandu, he has produced three CDs using accordion and voice to produce renditions of Punk Rock, Mainstream Rock which evoke to an astonishing degree the original music. Also as Duckmandu he recorded a solo CD of more traditional material.